Cut the watermelon into small cubes. 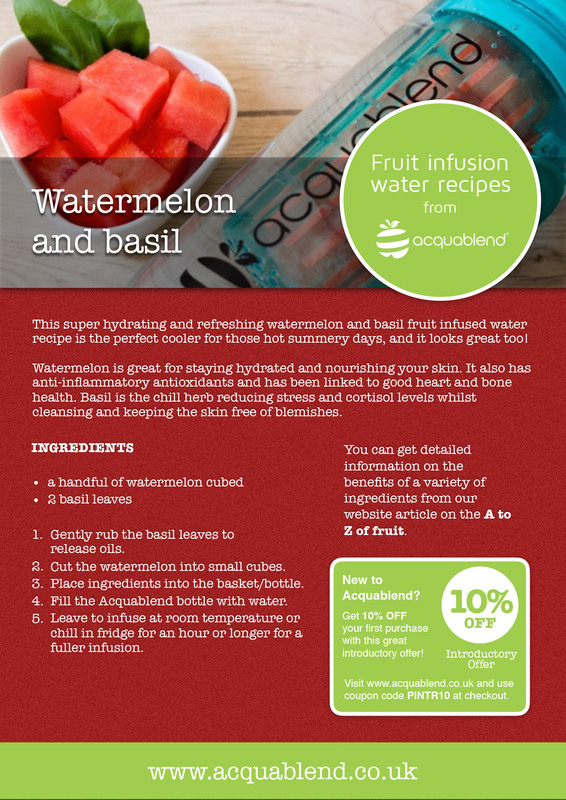 This super hydrating and refreshing watermelon and basil fruit infused water recipe is the perfect cooler for those hot summery days, and it looks great too! Watermelon is great for staying hydrated and nourishing your skin. It also has anti-inflammatory antioxidants and has been linked to good heart and bone health. Basil is the chill herb reducing stress and cortisol levels whilst cleansing and keeping the skin free of blemishes.